My recollections from childhood are studded with memories in the kitchen making cookies with my mom and grandma every holiday season. I loved every part of it— from eating unsafe amounts of cookie dough, to rolling out the dough and cutting out shapes, to frosting the baked cookies and dousing them in sprinkles. To this day, no aroma conjures nostalgia like the smell of a warm home after a holiday cookie baking marathon. Chewy spiced molasses cookies that are perfectly spiced and not-too-sweet. Dust them with sugar or get creative with colored frosting. They’re the perfect bite-size indulgence for your next holiday party. In a large mixing bowl, combine all dry ingredients and mix well. Add in liquid ingredients and mix well, using your hand to mix if necessary. Form the dough into a ball and wrap in plastic wrap. Refrigerate for 1 hour. Remove cookie dough from fridge and place between two sheets of parchment paper. Roll out the dough between the sheets of parchment paper to prevent sticking. 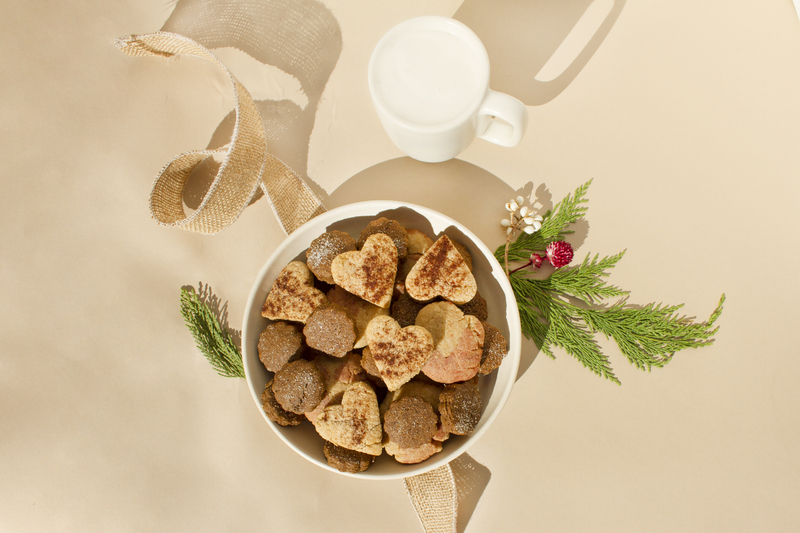 Using a cookie cutter, cut the dough into your desired shapes. Place on a non-greased baking sheet, and add a light sprinkle of colored sugar on top of the shaped cookie dough. Bake for 7-8 minutes, until the bottom of the cookie has developed a crust. Allow to cool - and enjoy! 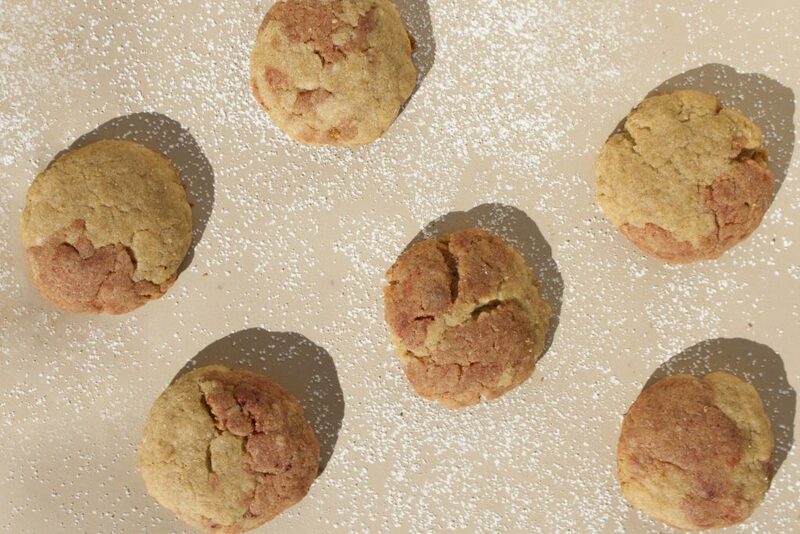 We’re giving you a healthy take on the classic snickerdoodle. 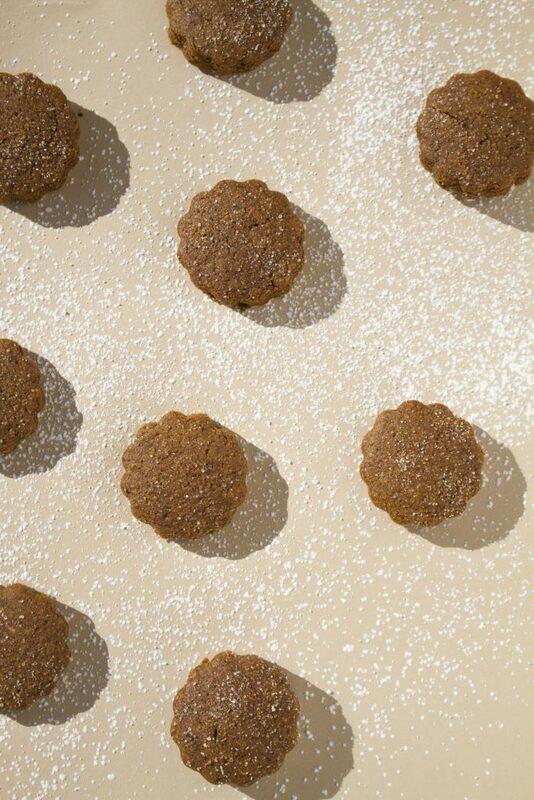 Roll them out and shape them into holiday shapes, or simply roll them in cinnamon sugar and bake them in flattened out balls. No matter how you make them, they’re bound to be delicious. Add the liquid ingredients and mix well, using your hand to mix if necessary. Place the dough between two sheets of parchment paper. 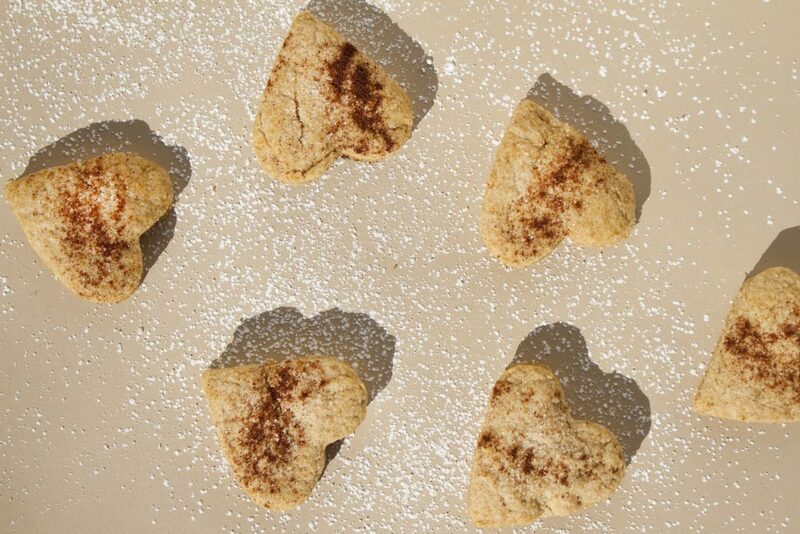 Place on a non-greased baking sheet, and add a light sprinkle of cinnamon sugar on top of the shaped cookie dough. Remember those classic di-colored candy cane shaped cookies that didn’t actually taste like peppermint but were still sooo delish? We’ve made a delicious whole wheat version of that classic - and rather than shaping them into candy canes, we’re shaping them into peppermints because who has time to make candy cane cookies when you have kids running around the house?! And we’ve colored them with all natural beet powder. Too cute to pass up in our opinion. In a large mixing bowl, combine all wet ingredients and mix well. Add the dry ingredients and mix well, using your hand to mix if necessary. Divide the dough evenly into two separate bowls. Keep one of the bowls aside, and in the other bowl, add in the beet powder slurry (beet powder + water). Mix the beet powder slurry into the dough until all of the dough is a bright red. Form balls by taking a pinch of white dough and a pinch of red dough. Flatten each ball out and place on a non-greased cookie sheet. Bake for 12-14 minutes until the bottom of the cookie is golden brown.